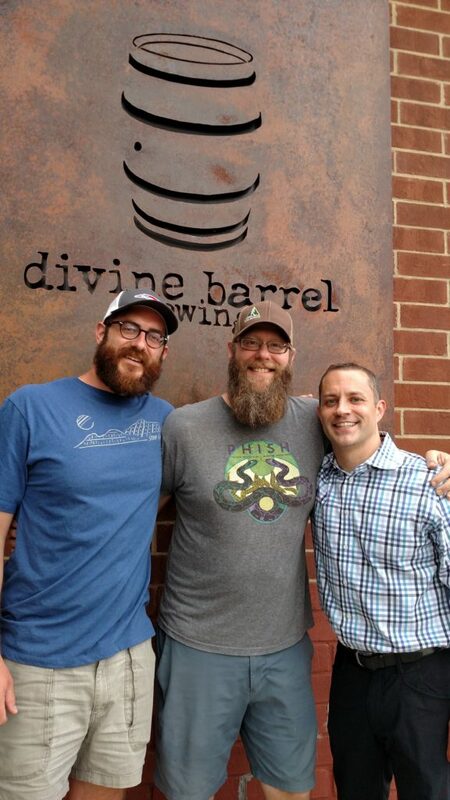 It’s a question Divine Barrel co-founder and head brewer Ben Dolphens gets asked by Charlotte beer fans since he and fellow co-founders Gavin Toth and Scott Davis opened their 10-barrel brewery in early March. 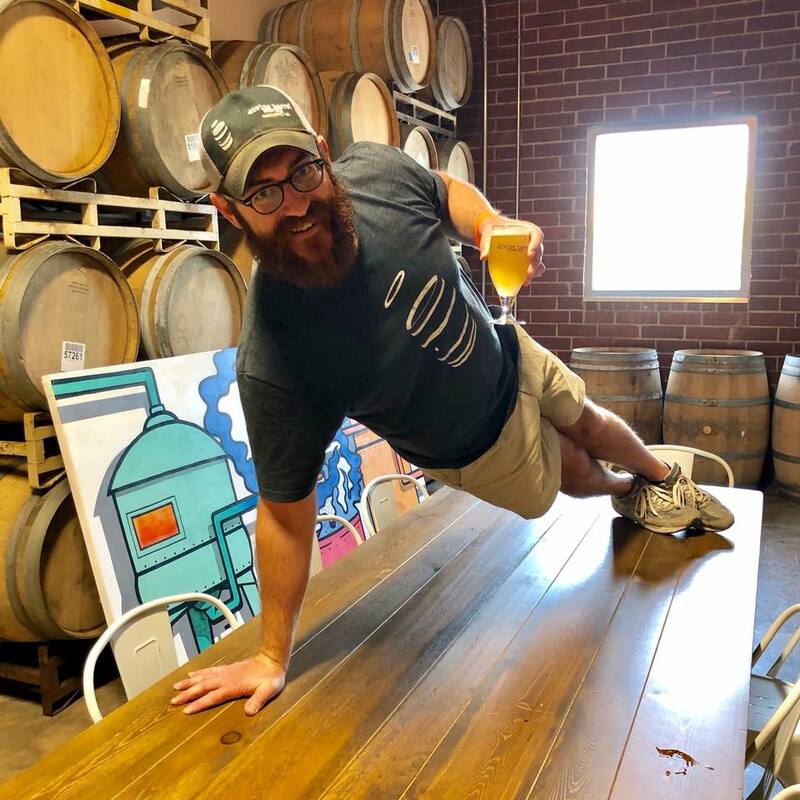 “While we’re not the first brewery in Charlotte to have a wood program, it takes some time to not only figure out what our house culture is going to be, but also for the beers to properly age before we see what comes out of these barrels,” says Dolphens. 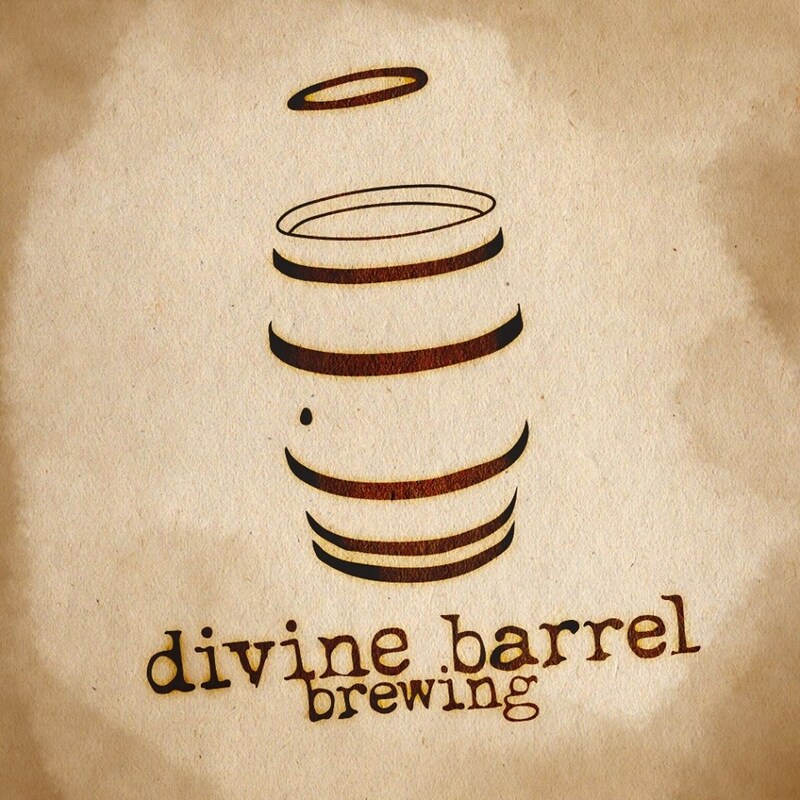 When it comes to Divine Barrel’s highly anticipated, complex, wild, sour and wood-aged beers, the old adage of ‘good things come to those who wait’ is a tough principle to swallow. 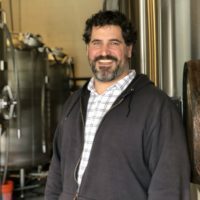 However, you won’t find any complainers with unique clean beers like The BIG Lubelski, a Polish-style Grätzer; hefty IPAs like Dank Zappa and Finger Guns; and their initial foeder-fermented beer, Brettrospective, delighting taproom guests. Sprinkle in a little patience and beer drinkers in town will soon make the path to north NoDa well-traveled. We caught up with the Divine Barrel trio in their barrel room, naturally, just as they finished a planning meeting to host the next CreativeMornings talk coming up this Friday, August 3. Gavin: Tin Kitchen & NoDa, Twisted Eats & Wooden Robot, Lenny Boy and The Hunter’s Wife — as a veteran restaurant GM, what is the vision for Divine Barrel’s food program? Wow. Well, the easiest answer is I don’t know. The long-term answer is that we’re definitely interested in putting in a commissary kitchen similar to what Twisted Eats did with Wooden Robot. 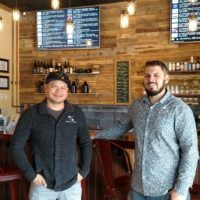 We’ve certainly tossed around the idea of adding a food concept, and I could see it working in a space at the front of the building, but I love beer and I don’t really miss food [laughs]. Co-founder and GM Gavin Toth keeping it seriously fun. Photo Credit: Divine Barrel . Ben, now that you’ve had a chance to break in Divine Barrel’s shiny new brewhouse and foeders, what is the most challenging recipe or beer style you’ve tackled so far? We just brewed one of our more challenging beers for the second time, a Grätzer we call The BIG Lubelski. It’s challenging because it’s a four-step mash so we go through four individual temperature rests, which with our system, can be a little bit tricky to get the mash bed to come up in temperature homogeneously. But I love that beer even though I feel it can be somewhat polarizing and scare people away. Those who tried it at our opening were really pleased with how clean, light and smoky it is. One beer I’m particularly excited about is our imperial stout aged in Haven Hill barrels and that’ll most likely be our first packaged beer. But, I have to ask for you to be patient with us on the release date. 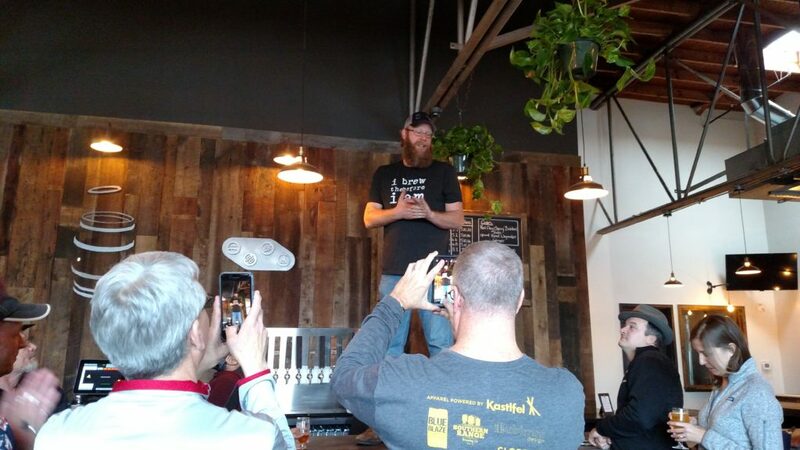 Co-founder and head brewer Ben Dolphens welcomes customers on Divine Barrel’s opening day. 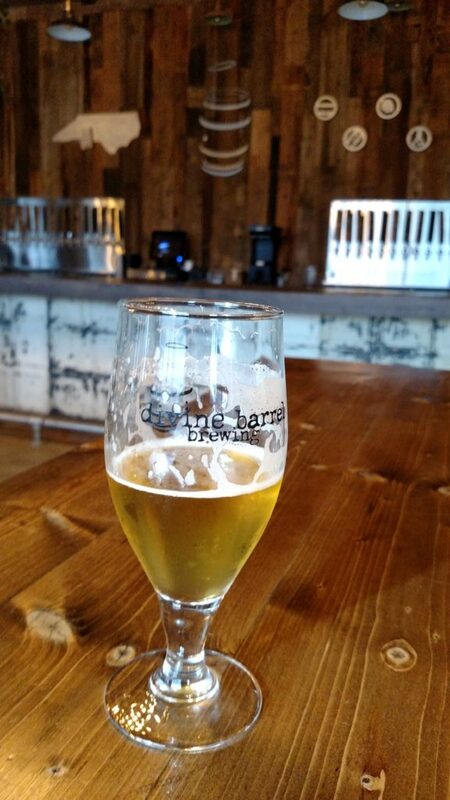 Tell us about life as a brewery and taproom in North NoDa. We’re quite familiar with your bold neighbors, but who else is on the block and what’s on the horizon? Gavin: I think we’re going to see a lot of development in this area, and quickly. The 10-year plan here in North NoDa, driven by the Light Rail, is looking pretty good. At the end of our street, they recently refurbished the warehouse by the Little Sugar Creek Greenway so fingers crossed we get some cool tenants there. 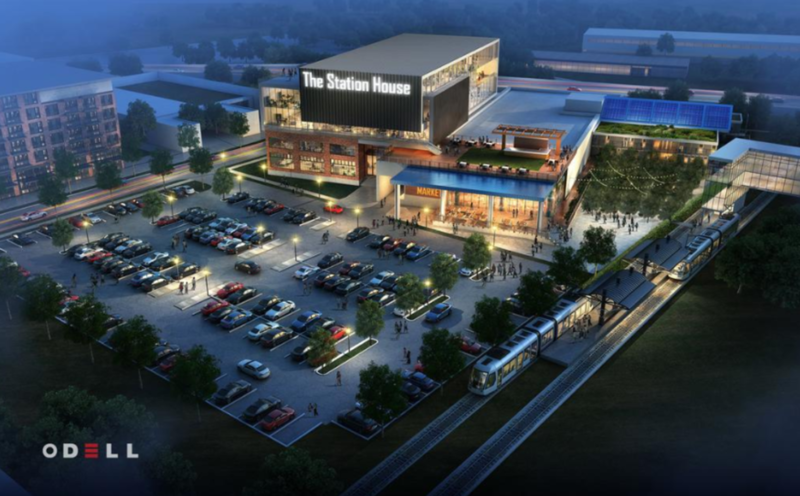 And with the Shed Amphitheater and Station House just across the rail, a new version of The Chop Shop is opening and we’re hearing rumblings about a massive mixed-use project in the future. Ben: Obviously we can’t control any of the development that may be coming to the area so our job, along with our neighbors, is to educate folks that we have something cool happening in our section of NoDa. When it comes to aging beers, you guys say it best, “It’s all good in the wood”. 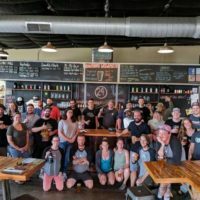 Are there particular barrels or methods you’ll be using that are new to Charlotte beer? 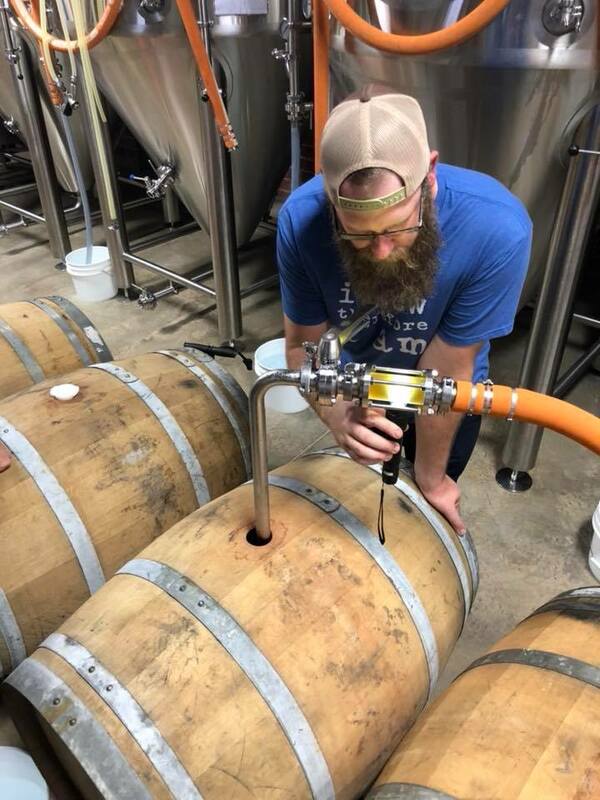 Ben: I wouldn’t go so far as to say we’re bringing something entirely new to Charlotte yet because there are some breweries in town who are doing some cool stuff with barrels and foeders. I’d definitely like to explore some unique barrels in the future – whether that’s apple brandy, an aquavit barrel (spirit principally produced in Scandinavia; distilled from grain and potatoes, flavored with a variety of herbs and most commonly aged in oak casks), cognac or even some of these barrels that will start with bourbon and then someone will age maple syrup in it. If I could get my hands on some of those barrels, that would be badass [smiles giddily]. QCBF, as you know, has established The Fillmore as its home since 2016 and will return there in 2019. Along the lines of famous music acts, who would you most like to create a beer with? Ben: No-brainer, Phish. Second choice would be Khruangbin; a funk band from Houston with a Thai name. They’re awesome. Scott (Divine Barrel’s behind the scenes finance guy): An old-school rap artist. Definitely. 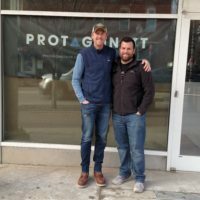 Gavin, favorite Charlotte beer at the moment? Shameless plug: Dank Zappa! Scott, the beer that steered you into the craft beer industry? Ben and I homebrewed a west coast double IPA that is now known as Finger Guns.